It’s that time again where I show you what I’ve been loving in the world of beauty over the past month, and this one is particularly exciting as it means it’s the last one before Christmas! 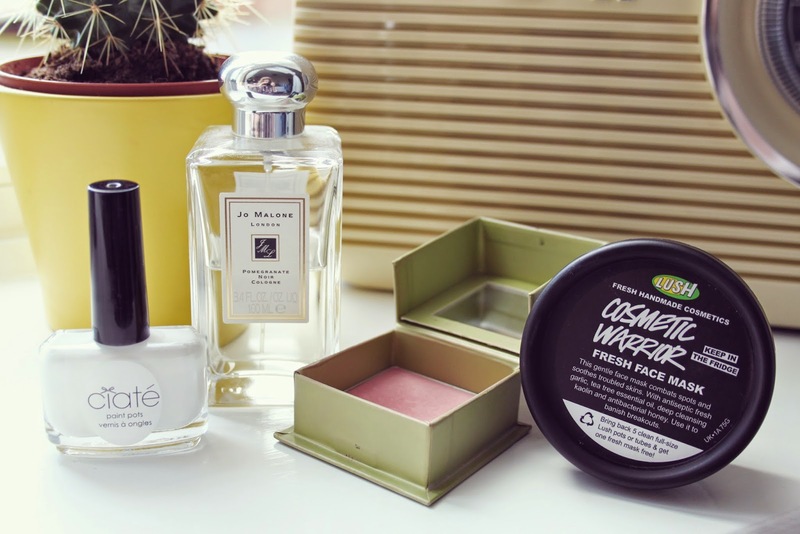 I can’t wait to pick up some Wintery beauty treats over the next month in the run up to Christmas, but for now I’ll get stuck in with my November favourites! You may recognise a number of these from these posts in the past, but I’ve rediscovered them recently and fallen in love with them all over again! Ciate Paint Pot in ‘Snow Virgin’ – As with many new discoveries for me, this one came from a recent Glossybox. I’ve always admired Ciate polishes from afar, but I’ve never actually tried one until now. I’m a big fan of the white nails look, and this is a perfectly snowy shade that looks great for Winter. Jo Malone Pomegranate Noir Cologne – I got this from Dan last Christmas after becoming obsessed with the scent, but throughout the warmer months this one got pushed to the side a little to make room for more floral fragrances. I started using this again a couple of months back and remembered why I pestered him for it so much last year! A beautiful, grown up scent and a great one to try if you’re new to Jo Malone! Benefit Blush in ‘Dandelion’ – This is a really old favourite of mine, and the perfect shade for pale skin. I tend to steer towards a blush with a slight sheen that gives a nice dewy finish, but for Winter I think it’s nicer to go slightly matte on the cheeks. This is a gorgeous rosey pink that gives a nice subtle flush of colour. Lush Cosmetic Warrior Fresh Face Mask – As you may know if you keep up to date with my beauty posts, I’ve been struggling with problematic skin over the past couple of months. This has been an absolute saviour to my skin, and if you can handle the slightly pungent smell of garlic on your face for ten minutes, I’d recommend this massively! It makes my skin look instantly brightened, redness reduced, and spots looking far less angry. 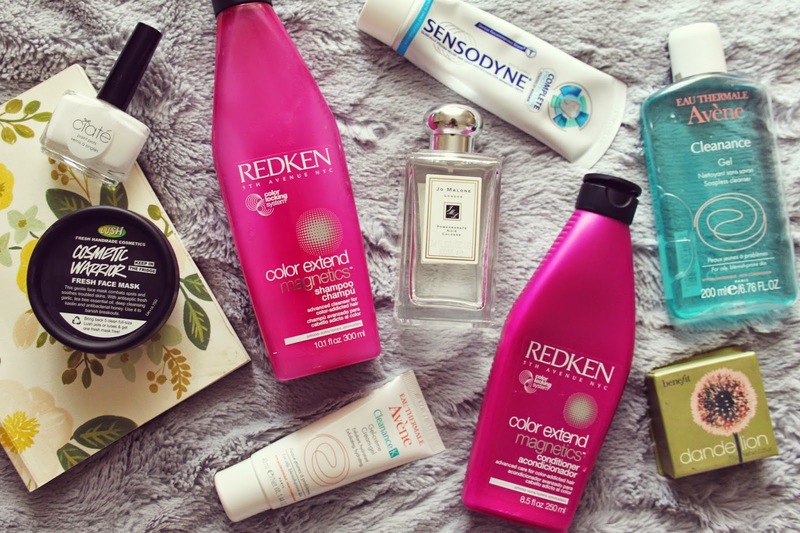 Redken Colour Extend Magnetics Shampoo & Conditioner – Since having my hair dyed back to a more natural colour, I wanted to use something that would help protect and maintain the colour without causing any damage, then I remembered I had these beauties in my stash! They are sulfate free, gentle and smells gorgeous too! Avene Cleanance Gel Soapless Cleanser – Another thing that’s been helping my skin is the Avene range, that I thought I’d give a whirl when I saw it on offer in Boots. The Cleanance Gel is a gentle cleanser that makes my skin feel super clean without irritating it. I use this after removing my make up for a final cleanse in the evening, then again first thing in the morning. Avene Cleanance K Cream-gel – Another addition to my skincare collection and one of my favourites! I use this as a night treatment after cleansing to help clear up any break outs that are waiting to happen. This does tingle a little when you first apply it, but it calms down after a minute or two and feels lovely and fresh on the skin. I’ve noticed a difference in my skin when using this, particularly on the problematic oily parts of the face, so I’m super chuffed! Sensodyne Complete Protection Toothpaste – Bit of a random one to include in this bunch, but something I thought was worth a mention! I’ve been suffering from sensitive teeth recently, and seeing as I’m such a wimp, I thought I’d try out a toothpaste designed to keep it at bay before heading to the dentist. Needless to say this has completely stopped any feeling of sensitivity I get in my teeth, and it’s a really pleasant taste and texture to use too! 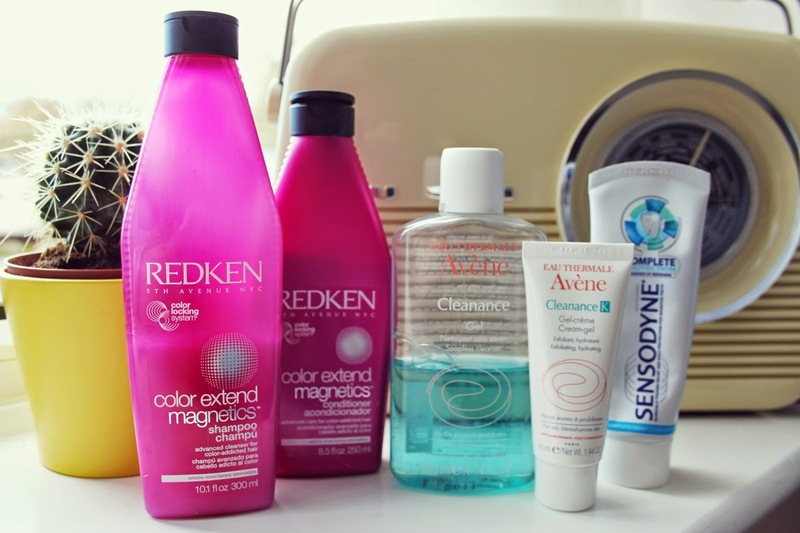 So those are my favourite products from the past month. What were yours? "A FESTIVE WEEKEND AT CRAFTY VINTAGE"
Great picks.. going to have to try some of these out!